Lisa Kay London shoes Martha in soft leather with a feminine flare to suit every Women's needs & as with all Lisa Kay shoes this shoes has been designed with comfort in mind. 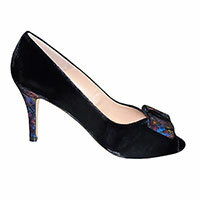 Elegant ladies black suede shoes with elastic trim completing that all important comfort & style. 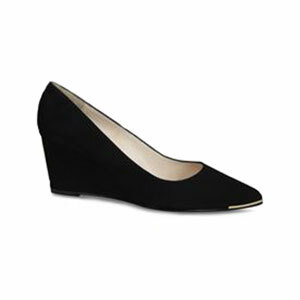 An elegant classic wedge shoe, with pointy toes finished with gold trim & black suede covered heel. 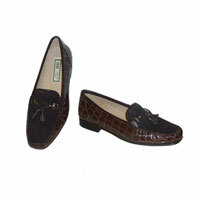 HB Italia classic loafer style shoes, crafted from the finest leathers, on a low heel. 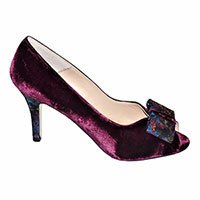 This shoes adds alittle colour to your outfits with it's beautiful detail. Womens peep toe, low wedge mule in geniune leather. 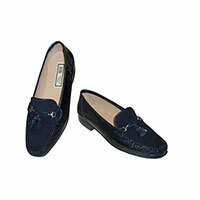 Easy to slip on and wear to ensure a comfortable fit. 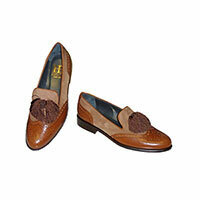 Featuring a leather soft-cushioned insock , these shoes will be comfortable under foot. A wedge height of 4 cm completes the look of this shoe.